This book is a product of almost a decade of skirting around my fears and the triumph of arriving at words that would weave my journey in survival. When I was a child, a houseboy crept into my bedroom on early mornings and molested me. Like an awful nightmare, I pushed it to the back of my mind, almost forgetting. But life was never the same. I could never erase the disgusting memory from my body and my spirit. But I can choose to survive. Beyond that, I can choose to take flight and soar. Being a survivor is about choosing life. Being a survivor is taking back your soul and refusing to go on as a "victim." It is about choosing to heal and continuing to love. It is about choosing to be a good person in the entrails of evil. This endeavor has been blessed by tremendous support from friends and fellow survivors. In confronting memories of sexual abuse from my childhood, their friendship and my writing became an anchor, helping to keep me sane and going on with living life. This collection is my way of giving back the gift of healing to other survivors and their friends and partners. I would like to believe that these pieces carry not just my own singular voice, but the blended voices of other survivors who have shared with me their own truths. With this book, I wish to lend a voice to numerous others who cannot, at this point, break their own silences or haven't found their own vehicles for expression. And yes, lend a name too, lend a face. For we are not mere silhouettes in the dark - we are living, throbbing individuals who have chosen to survive, who continue on to blossom into song. 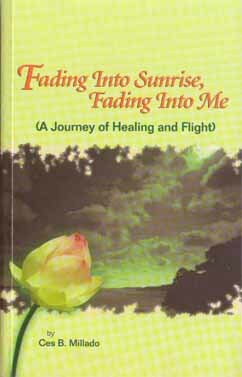 The first chapter, "Fading Into Sunrise," addresses my own personal experience of being sexually abused as a child. It charts a whole process of forgetting - one among a number of coping mechanisms I latched onto as I desperately tried to live a normal childhood and youth. It follows through to remembering - snippets of memory that brought back a fresh feeling of pain, fear, isolation, shame, betrayal, anger, grief. In the piece "Okay Lang Ako" (I'm Okay), I speak of experiences not just my own, but of those who have whispered their own terrors and triumphs in a courageous act of ending isolation and silence. 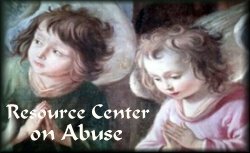 For there are countless of us who have been and continue to be abused by their own kin, their caregivers, neighbors, strangers. Each silence broken, while opening wounds to allow for healing, is also a step nearer to putting a final stop to all forms of child sexual abuse. In this book, I have also included my writings on loving - the attempts, failures, learnings, and further attempts at trusting again. The second chapter, "Light and Shadows," charts my journey of early marriage, struggle and annulment, the jumble of relationships and non-relationships that follow, and the ultimate lesson of learning to love my own self. "Lullabies on a Still Night" is a collection of poetry on the gift of mothering. While mothering my son Julian Victor - "Uyi" - I discover the wondrous act of mothering the child in me. owned by Fading Into Sunrise, Fading Into Me.